Разстояние до летището 2,8 км. Имате въпрос към Monami Guesthouse? Monami Guesthouse е перфектен избор за пътуващи, които желаят да почувстват духа на Jeju Island. Хотелът се намира се на 3km от центъра на града, поради което неговите гостите могат безпроблемно да се наслаждават на всички градски атракции. С удобното си местоположение хотелът предлага лесен достъп до всички градски забележителности, които задължително трябва да се видят. Възползвайте се от богатството на ненадминатите услуги и удобства в Jeju Island. Този хотел предлага множество удобства, за да задоволи и най-изискания вкус. Атмосферата на Monami Guesthouse се усеща във всяка стая. Удобства като безжичен интернет достъп (безплатен), стаи за непушачи, климатик, отопление, телефон са само някои от даденостите на обекта. Хотелът предлага прекрасни развлекателни съоръжения, такива като риболов, билярд, които ще направят престоя ви незабравим. С перфектното си местоположение и несравними удобства, Monami Guesthouse е един чудесен избор в много отношения. Настаняването в обекта не е възможно след 10:00 PM. Гостите, които не се настанят в посочените часове, трябва да предоставят ориентировъчен час на пристигане в полето Специални изисквания при резервиране. This was the first time I stayed near the airport. I wanted somewhere quiet, to think and reflect. Monami Guesthouse was a nice place to stay for that. The hostel is right across from the bay and near Mount Dodu? I walked around a bit and found several good restaurants and coffee shops. There was a marina close by and I got to see actual lady free divers in person. I was rather in awe of them. There were several city bus lines that went through the neighborhood, making it easy to get into town and around Jeju. 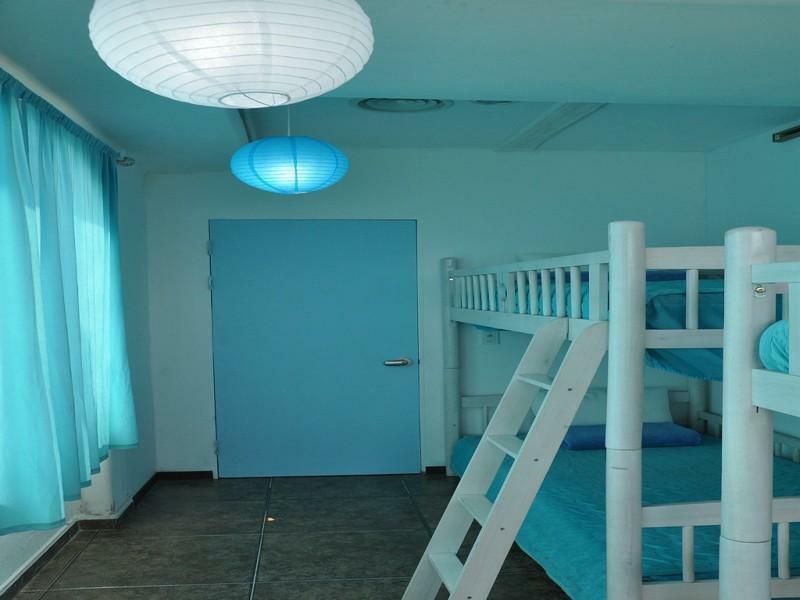 The hostel main room was large and comfortable with a good size kitchen for the guests to use. There was also roof access with picnic tables and lovely views of the sunset. I would stay here again. I guess the only real drawback was that the bathing area didn't have a real door, but rather screens that blocked the room from the female dorm hallway. I didn't care, but I saw another guest who wouldn't take her clothes off to bathe. The staff was nice, and friendly. It's a good place to stay. If you are going to explore Jeju Island while staying here, you'd better rent a car, as if you know what I mean *smile* If you aint too shy to share an OPEN bathroom with others, this is the place for you *hide my face* Overall, is not too bad to stay here! Improvement still needed though. It was so good and the breakfast prepare by the guesthouse was so nice. 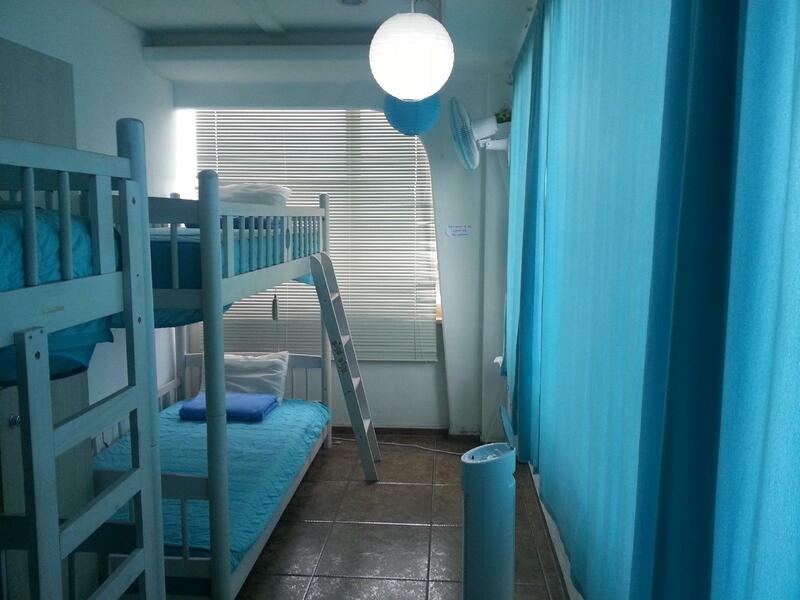 The room are cozy and the overall environment is good. Отседнахме 3 вечер/и в април 2015 г. We were warmly welcomed by Sun Ah. It was night time when we arrived and we were looking for places to have dinner. She informed us that most of the restaurants might have closed already and we should go to the supermarket which is about 5 minutes walk to get our dinner there. She is also very helpful, telling us where to get cheap car rental services. The guesthouse has the best coastal view of the island and we woke up every morning greeted by the beauty. 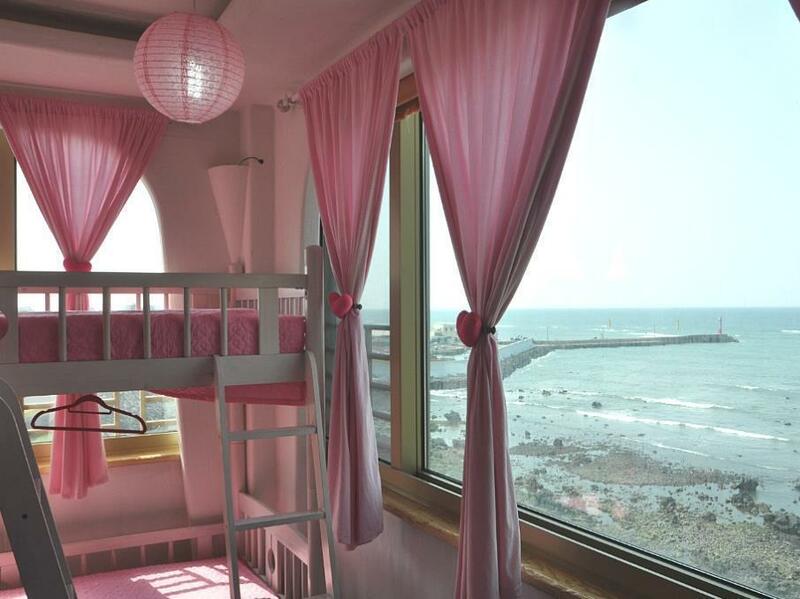 I love the sea view from the room and there's a balcony. The view is superb you can see planes landing frequently in the morning. Its really nice that heat mat is provided in cold night. Its lucky that finally we meet a staff really spoke good English as most of the guesthouse we stay at Jeju only speaks in Korean. One thing i dun like is their female bathroom. There were no way to lock the door. Basic breakfast is provided and you could enjoy the breakfast with wonderful view. Nice and equipment facilities provided at living room. It's near to the airport but a bit far from Seogwipo. The room was okay, but the ventilation is not good as there was no window in the room. Good thing it was autumn season so it's cooler at night and they provide a small fan. Simple breakfast is provided and eaten in the common room with a wonderful view of the port. The facilities are good (books, tv and pool table at the common room) but the female bathroom could use a bit of touch-up as it is a bit rundown. The room was small and very hot on summer. Receptionist not always available. Difficult to find transport and restaurant is very minimum. We loved the great sea view in the common area and the balcony! The room was fair, but the ventilation is not fine; there was no window in the room and it was kind of stuffy. The bathroom is well equipped everything girls need to make their hair. That surprised me. Everything was ok, but the washroom really has to be renovated. Great stay, the staff was very professional and the community room is beautiful. Comfortable and cozy! Suitable for budget travelers! What a pleasant stay! Loved the people and the place. Location is about 10 minutes drive from jeju Int airport so transport to the guest house can be accessed via taxi. Overall very impressed! Clean place, beds have heaters for the chilly season too.